Ever thought to yourself “man, those guys in that science company sure are working on some big old science. Wouldn’t it be neat if I could get a bit of the science for myself?” I’m sure you have done – Many of us have. However, just because we think it doesn’t mean we’re then going to action it. Instead, we opt to carry on and enjoy it when the science goods come through for us, such as driverless cars, AI such as Alexa and more. However, one man called Barry decided that he really wanted a jetpack. 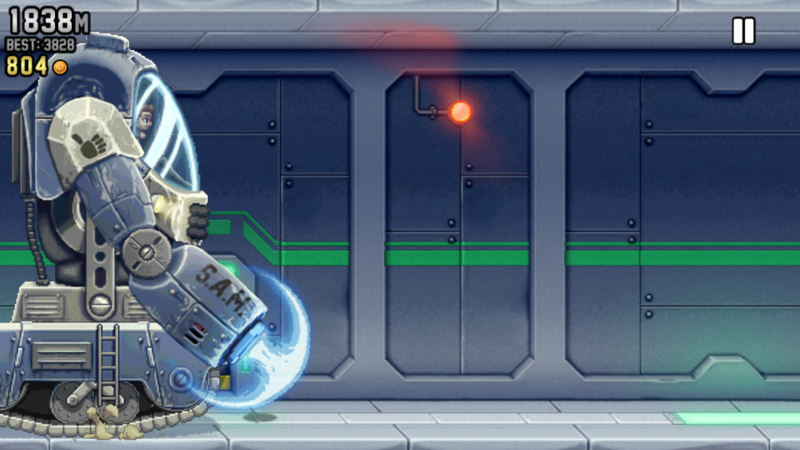 Through a sheer force of vandalism, Barry breaks through the Science peoples walls and steals their jetpack for a Jetpack Joyride! 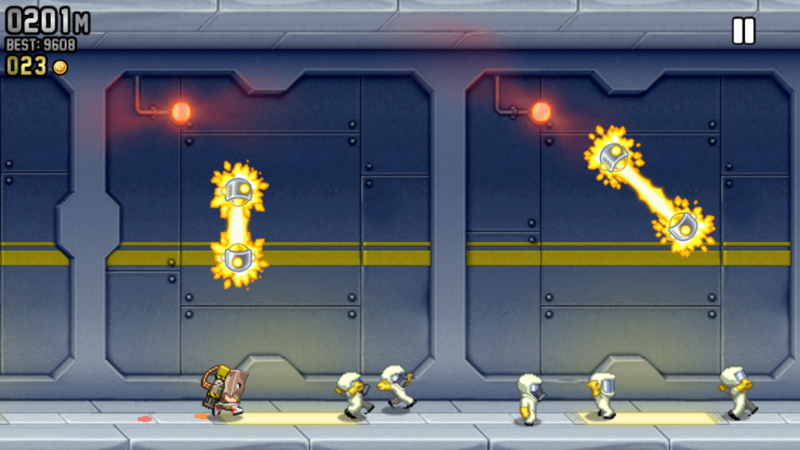 In Jetpack Joyride, you control Barry, who bursts through the wall and steals an important jetpack. The scientists aren’t happy about this and it’s up to you to get as far away from it all as possible. Naturally though, you can never truly get away, as this is an infinite scroller type game, meaning you just aim to get the highest distance travelled each time – and you also aim to get as much gold as you possibly can along the way. 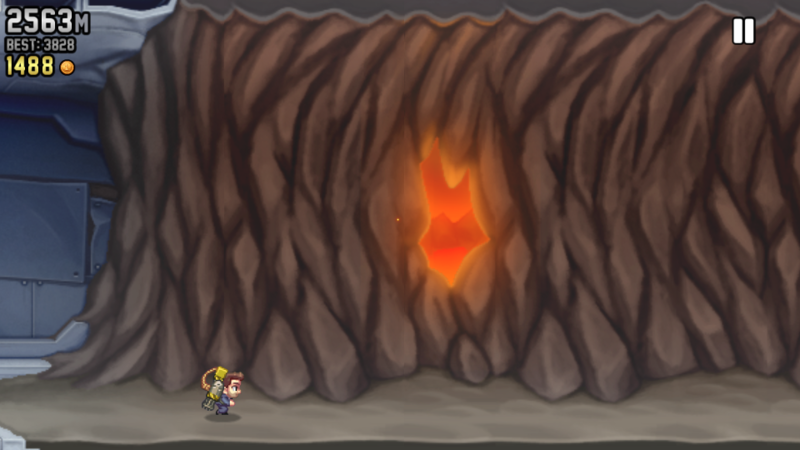 To do this, you simply press and hold down on the screen to make Barry ascend, then let go to descend. 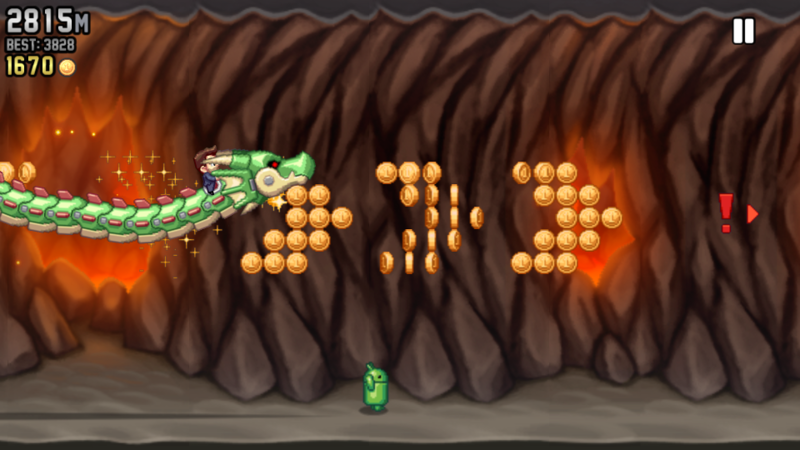 You use the timing of the jetpacks ascension and descension to avoid traps, such as laser beams and missiles. 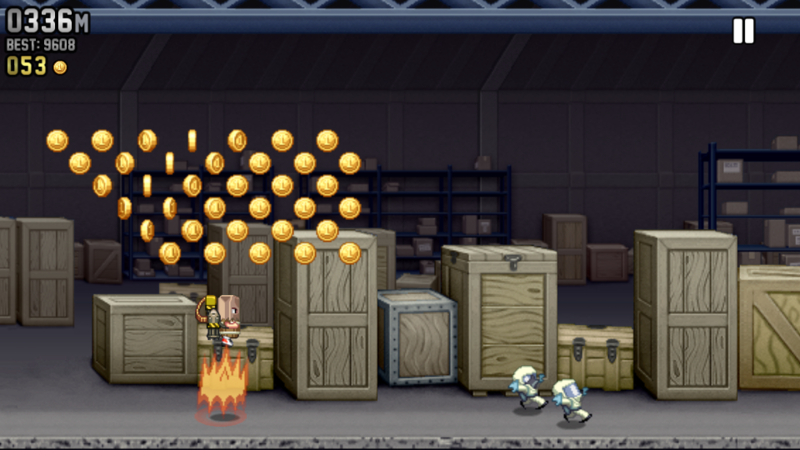 The purpose of gold in this game is to upgrade your character, your utilities and of course, your jetpack. You can get utilities which allow you to bounce upon being killed, which makes a big difference for collecting gold (being dead doesn’t stop you amassing a horde of gold). You can get utilities that jam missiles, occasionally, or stops there being scientists or other NPCs. 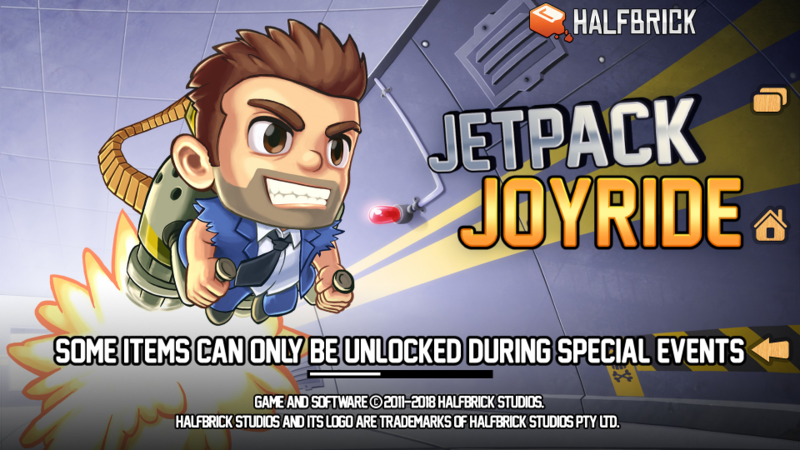 You can also spend money on jetpacks, to give your character an edge in certain aspects, or just because you want to fly around in style. 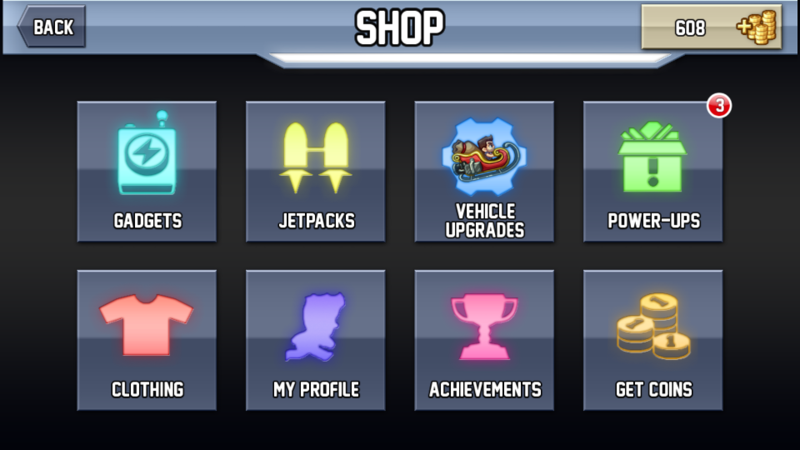 As well as flying around in your jetpack, you have access to a range of vehicles, including a robotic dragon which makes you press to descend instead of ascending. 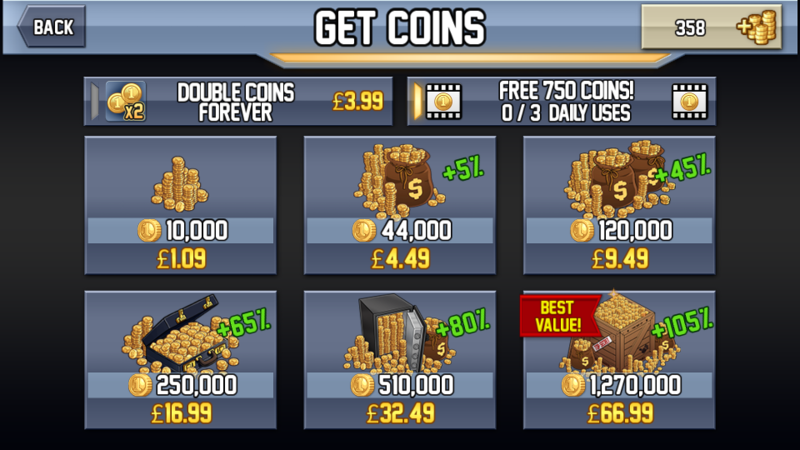 As well as this, there’s the frantic Profit Bird which gives you 2x gold for each coin you pick up. There’s the Bad As Hog, which, uh, let’s you drive around and shoot people with a shotgun, for some unknown reason. Then there’s the Lil’ Stomper, which is a tiny mech suit that you can glide in. 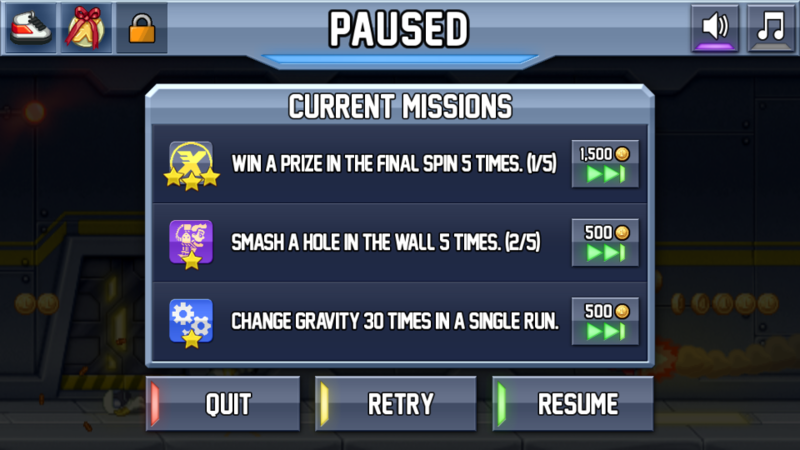 As a new feature since the last time I played this, there is a daily SAM run. SAM stands for Strong Arm Machine, which is a huge mecha robot that Barry can drive. In SAM mode, you have access to a large fist which can deflect missiles, the only form of defense the scientist has against such a machine. 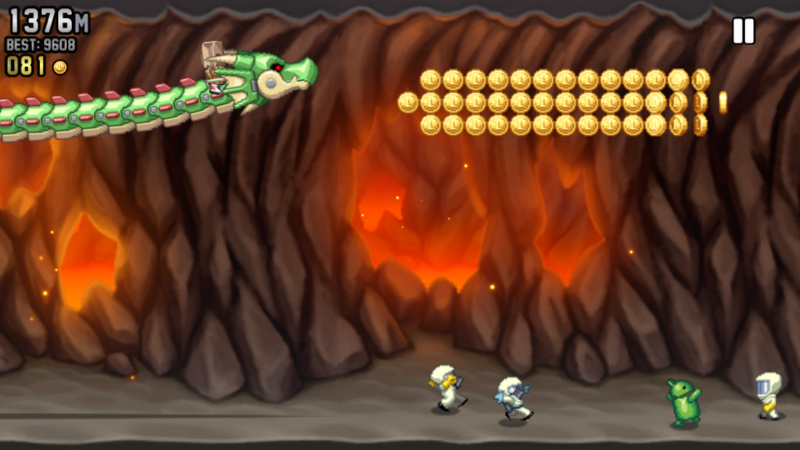 Whilst in this machine, you are guaranteed any gold you drive across along the way, so the better you are at this, the more gold you can amass in a short amount of time. It’s a great mechanic and feels like a welcome addition, rather than a bothersome or even cumbersome mechanic. I wish more games would take note of how to implement something like this so simply. Not too much to say here – It’s just a fast paced beat to keep you going through. 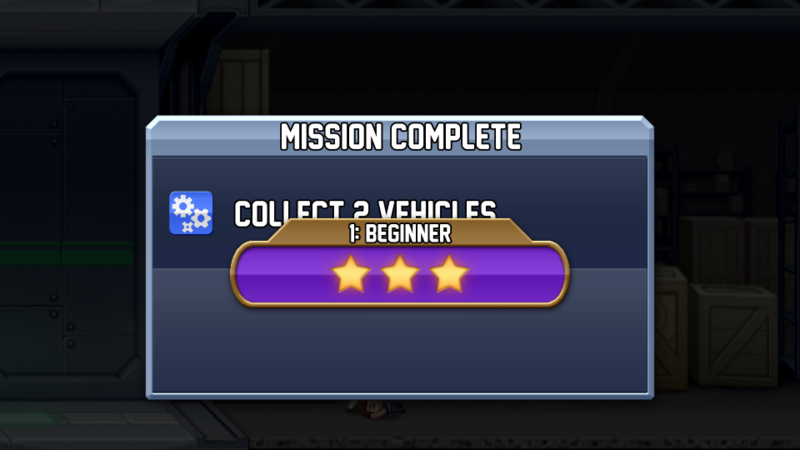 You just hear the charges of laser beams, the firing of the missiles and occasionally the handslapping noise of a high-five when you get that mission. The music itself is a funky beat, which for a mobile game sounds great, but you can tell they had to skim it back quite a bit to keep the file size down somewhat. At least it’s pleasant to listen to and fits the theme of the game pretty well! 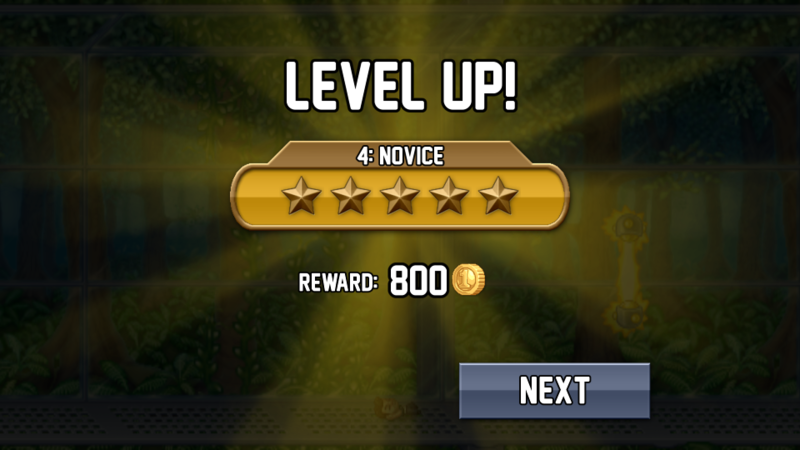 The first time I played Jetpack Joyride, it was a delight and I always felt like I wanted to go back to it and play it some more. This time around is no different; with the additions of the SAM and other new additions, such as new costumes and new jetpacks, it’s no wonder that the game has been going strong over all this time. Plus, with the option to talk directly with the developers, I’m not surprised it’s still around. However, there’s only so much you can play this, before you wind up getting somewhat fatigued by the concept of it. 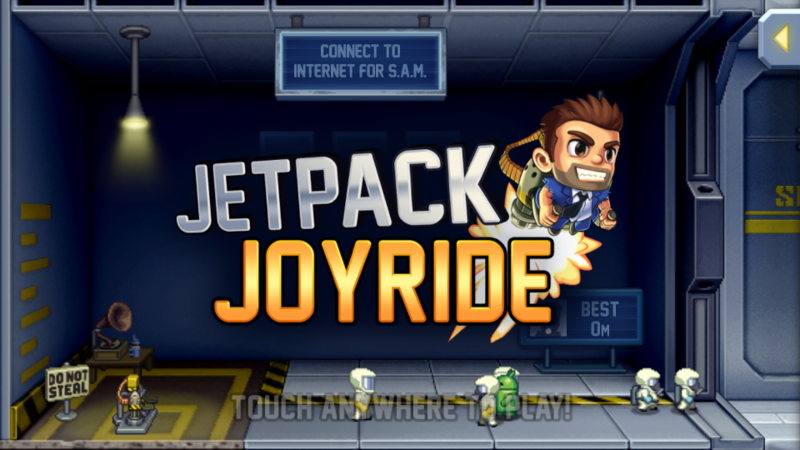 If you’ve ever played Jetpack Joyride in your life, let us know what you think of it in the comments below, or over on Facebook or Twitter. 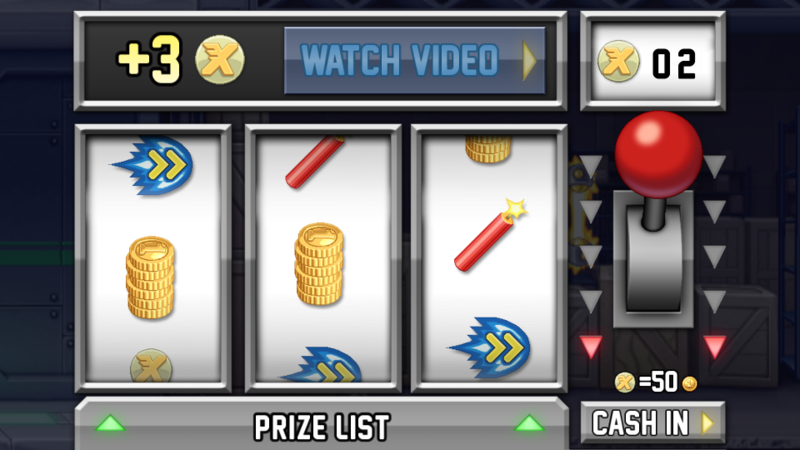 It is a good game for a smartphone or tablet, or is it a bit too basic for your liking? 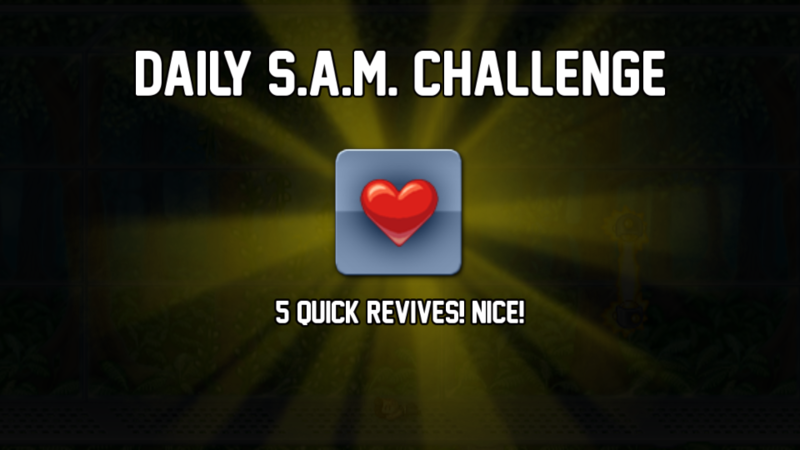 What do you think of the addition of mechanics such as the daily SAM runs? As ever, let your voice be heard! This entry was posted on February 5, 2018 by Timlah. 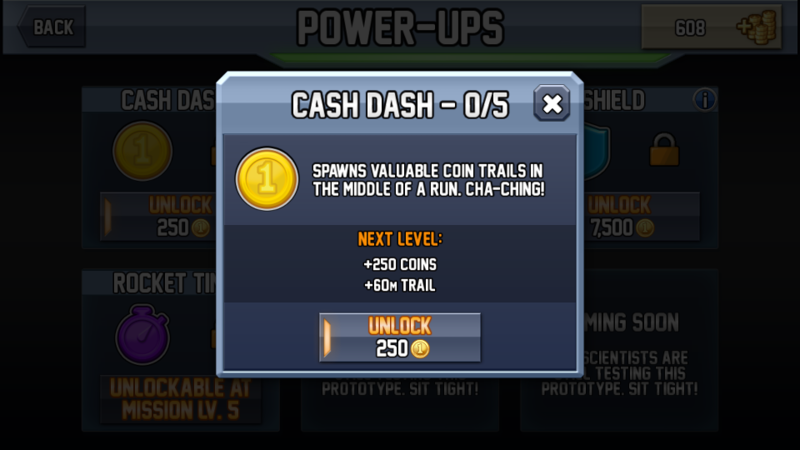 It was filed under Gaming posts, Reviews, Video Games and was tagged with Endless Runner games, Fun Mobile Games, Jetpack Joyride, Review, Side-Scroller games for Android, Side-Scroller Games for iOS, video game.